The bend in Route 27 known as “Oh My Gosh Corner” gives those approaching Sugarloaf a dramatic view of the mountain. 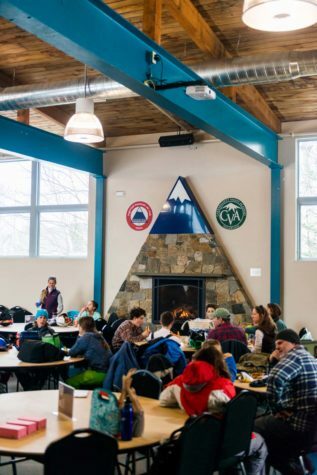 Carrabassett Valley Academy (CVA) students break for lunch in the Gondola Room at the newly finished Bill and Joan Alfond Competition Center. 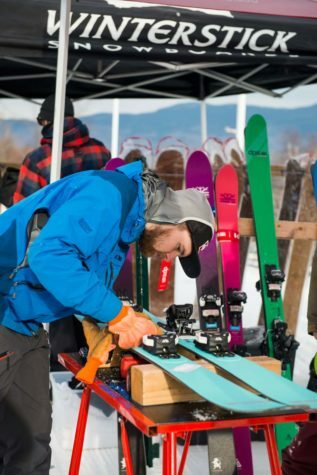 A technician from DPS Skis tunes up a pair of 2018 Alchemist Ninjas at Sugarloaf Demo Day. 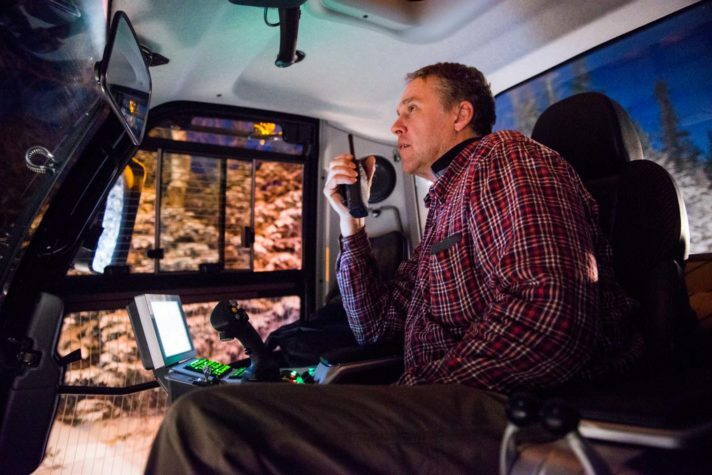 Jim Listowich radios to fellow snowcat operators as he begins his ascent of the mountain for the first grooming trip of the night. A racer braces for the gates on Narrow Gauge. 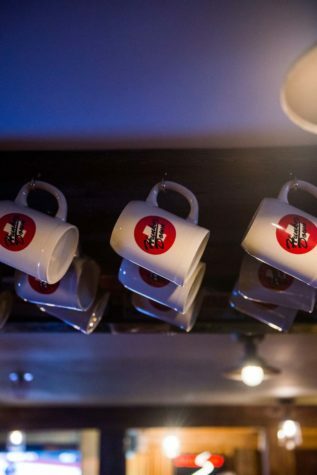 Mugsy-Club mugs at the mountain’s newest restaurant, Hunker Down. 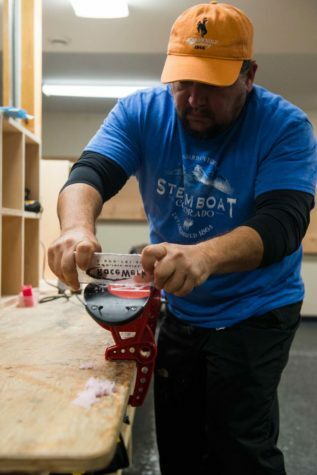 A father waxes his daughter’s skis. Skiers take in the views from the SuperQuad. 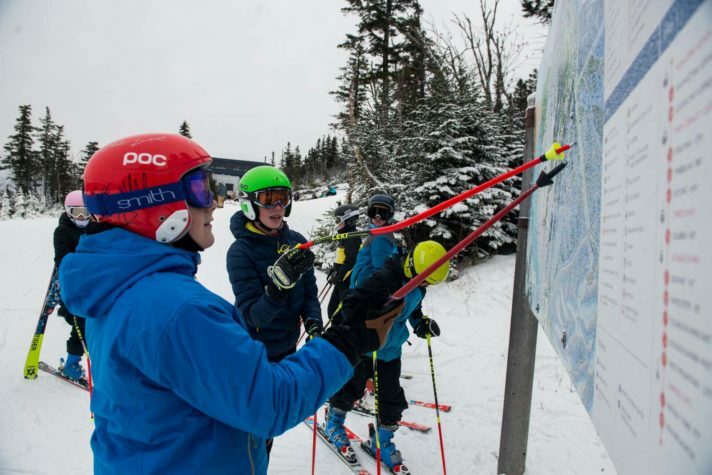 Kids point out trails on the map at the top of the SuperQuad. 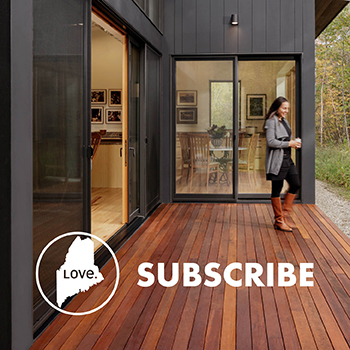 A forested pocket of Maine named for the birch lined, boulder-strewn river that runs through it, Carrabassett Valley is nestled between the majestic Bigelow Mountains to its north and several peaks along its western edge. 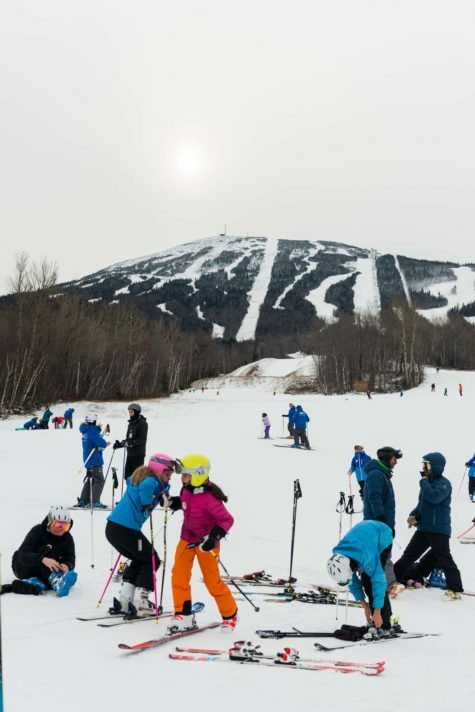 The tallest of these, Sugarloaf, is the largest ski area in Maine and the reason most people come to quiet Carrabassett Valley. 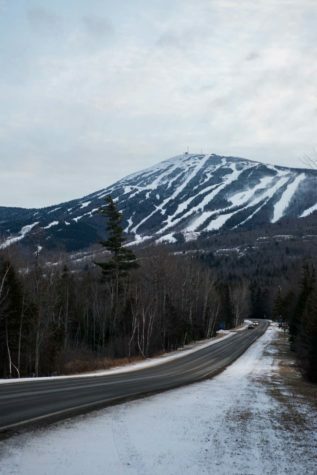 For arriving skiers, Sugarloaf’s 4,237-foot peak remains hidden from view until a bend in Route 27 known as “Oh My Gosh Corner” reveals its snow-covered trails. 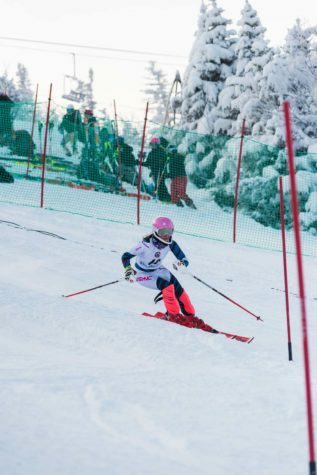 At Carrabassett Valley Academy, however, the mountain is a constant. 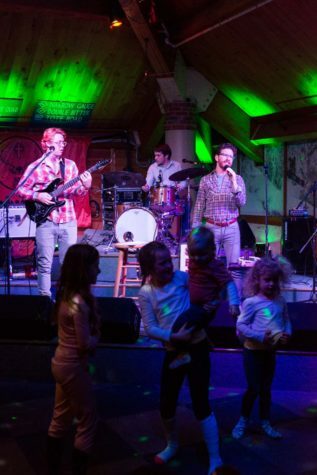 When families come to visit CVA, Punderson recommends on mountain spots such as D’Ellies for breakfast and Java Joe’s for coffee and hot chocolate. For those who arrive with their skis, she suggests one of the mountain’s newest adventures: cat skiing. 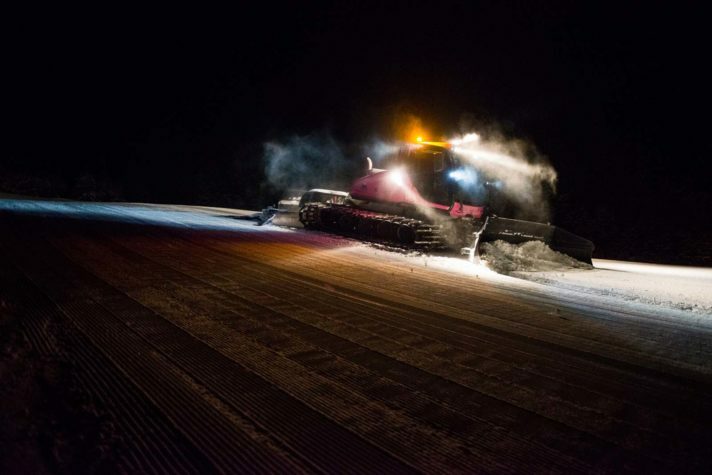 “I’ve skied on Burnt Mountain in Brackett Basin and the Androscoggin Glade many times by hiking up, but now these areas will be accessible via snowcat,” Punderson says. 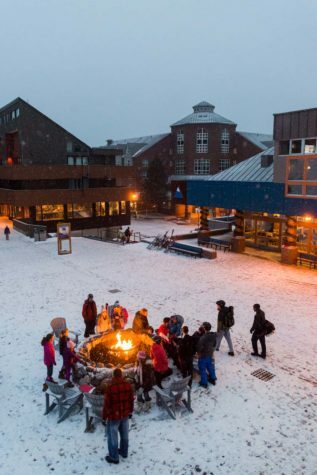 For après-ski, she says, “The Bag and Kettle and the Rack can’t be beat for a bustling crowd and local flavor.” She also sends visitors to Sugarloaf’s new Bill and Joan Alfond Competition Center, whose lobby features historic photographs and a sculpture by celebrated Maine artist Bernard Langlais. Off the slopes, Punderson suggests the Anti-Gravity Complex for its climbing wall, trampoline, and skate park; Sugarloaf Sports and Fitness, which has a pool and hot tubs; and the SugarBowl for bowling. 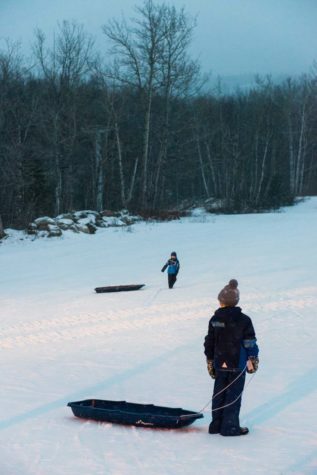 The Sugarloaf Outdoor Center offers cross-country skiing, snowshoeing, and ice-skating. 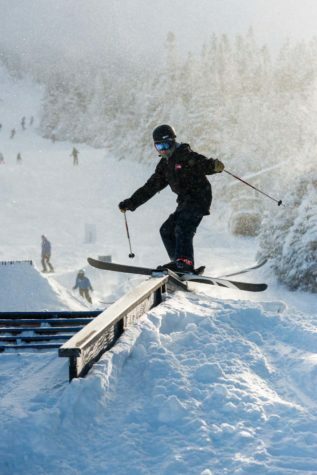 Rentals are available, and the Bull Moose Cafe in the center’s new lodge is “a perfect lunch spot.” In addition to the Narrow Gauge Pathway, this winter, fat bikers can also roll along groomed trails on the Sugarloaf Golf Course. “The views are breathtaking,” Punderson says. 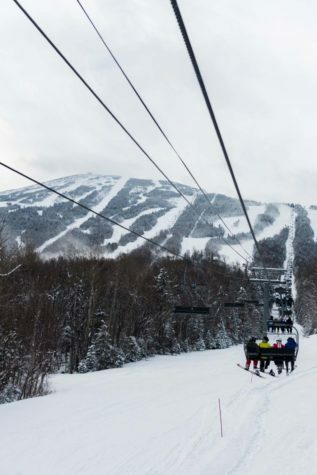 In snow-covered Carrabassett Valley, memorable views are almost everywhere you look. Carrabassett Valley Academy students clip in before heading for the lifts.